Datatype : If the Money datatype does not exist in the database, use Number (p,s) or Decimal. Change the precision to 15 and the scale to 2. The identification of the foreign key attributes of the tables is not required. You add it for completeness. Foreign key relationships are typically used only in cases where multiple source tables from the source database are joined. 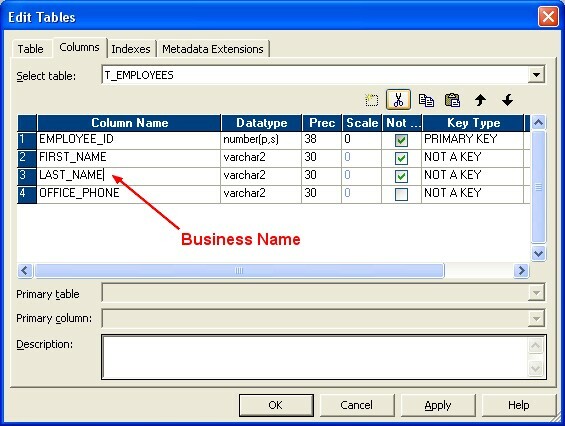 If the target database is Oracle, you cannot add an index to a column that already has the PRIMARY KEY constraint added to it. 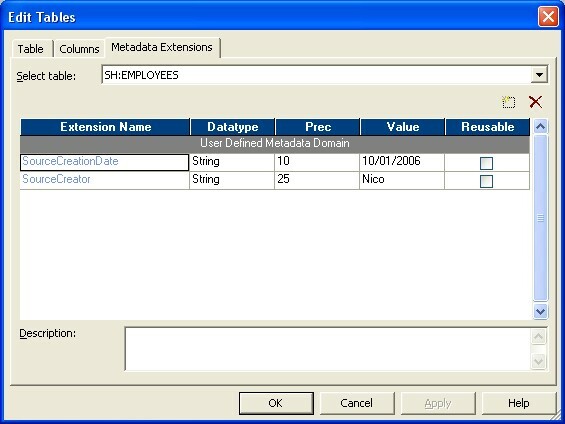 In PowerCenter - Designer, Metadata extensions allow you to extend the metadata stored in the repository by associating information with individual repository objects. For example, you can store contact information, such as name or email address, with the sources you create. Select the table , and then click Targets > Generate/Execute SQL. In the Database Object Generation dialog box, connect to the target database. Click Generate and Execute. The Designer notifies you that the file MKT_EMP.SQL already exists. Click OK to override the contents of the file and create the target table. The Designer runs the SQL script to create the table.